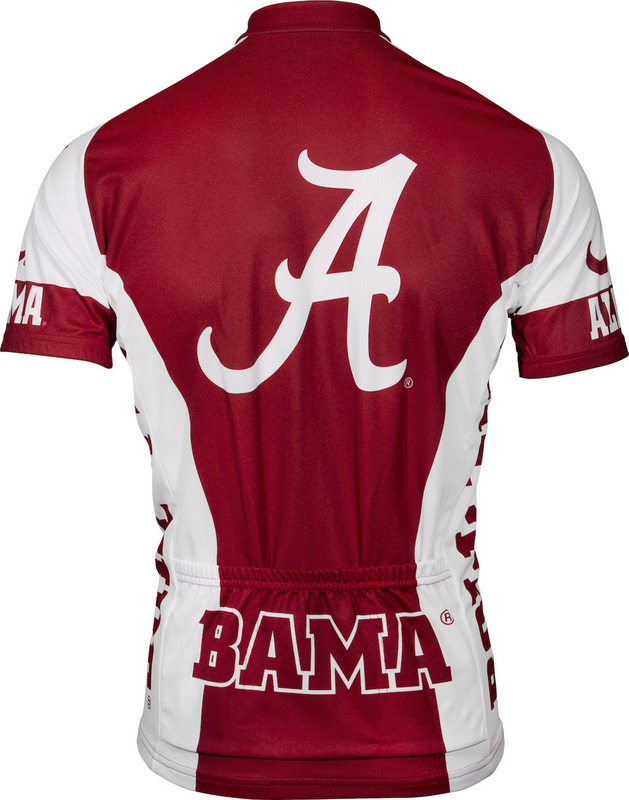 Alabama Crimson Tide Cycling Jersey | Free Shipping. 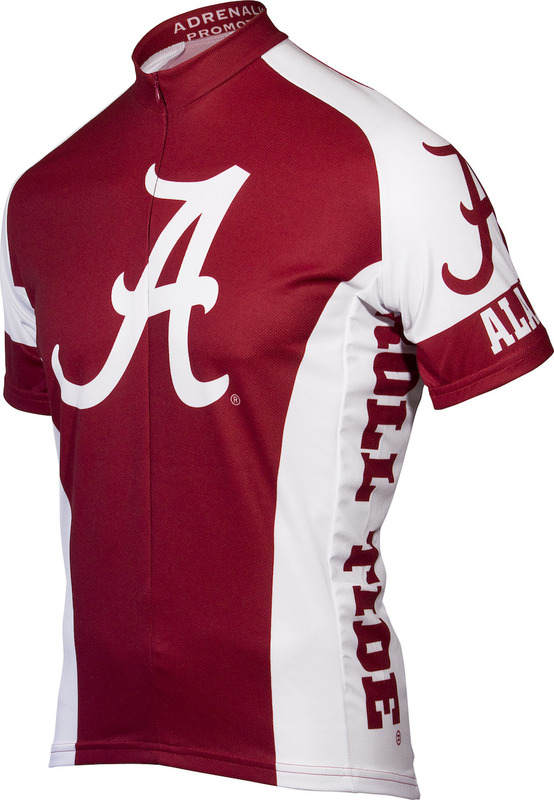 This Alabama Crimson Tide Cycling Jersey are meticulously constructed from 100% treated micro fiber polyester for quick-drying, moisture transfer ensuring total riding comfort. Three rear cargo pockets provide easy storage and neck zippers allow adjustable ventilation. Show your colors and go team! Available in S, M, L, XL, XXL sizes. 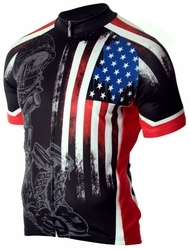 This Alabama Crimson Tide biking Jersey is made by Adrenaline Promotions.